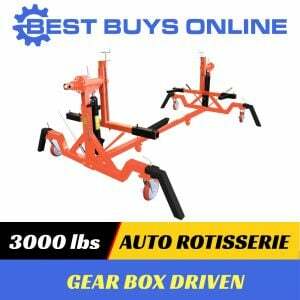 If you're looking to restore a car, this heavy duty rotisserie with gear box rotation is a great asset for any mechanic shop or DIY project. 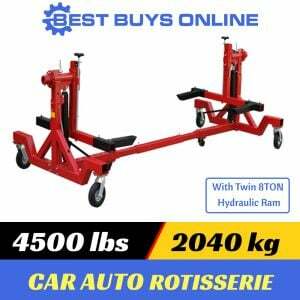 It makes easier for mechanic and body shops to do framework and other tasks. This rotisserie allows you to move the car around easily in order to make your workshop more functional whilst working on the project. Features a 3000lbs / 1360kg working capacity and a full 360 spin movement for easy access to any part of the car without hassle. 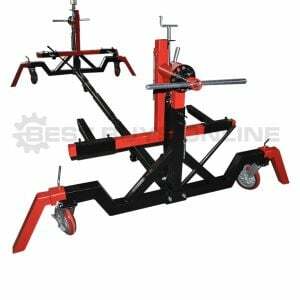 Comes with a turning handle, bearings, movable stand, these will give you the most flexible spinning system for any car body.